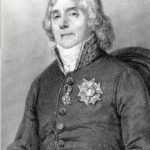 And this, of course, affected the son, who, recalling his youth, said: “I believed that the meaning of life was to perform an outstanding feat in the name of France”. Charles decided to devote himself to military service. 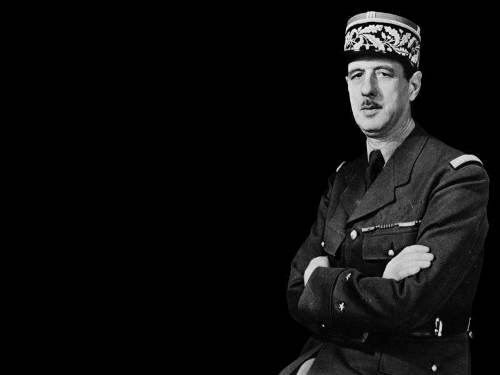 Lieutenant de Gaulle courageously fought on the fronts of the First World War. He was wounded twice, was a captain and company commander. And in the Battle of Verdun, he was wounded for the third time. The comrades considered Charles deceased and left him on the battlefield. However, he survived, but was captured by the Germans. 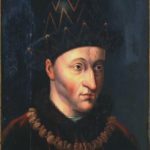 After several attempts to escape, he was placed in the Bavarian fortress Ingolstadt, where the most incorrigible fugitives were taken from all over Germany. There was a future Soviet marshal Mikhail Tukhachevsky. In captivity, they behaved differently. 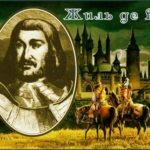 De Gaulle was knightly noble, and Tukhachevsky was adventurous in a revolutionary way. Tukhachevsky escaped and de Gaulle waited for official release. A few years later, Charles and Mikhail met during the Soviet-Polish war of 1920. 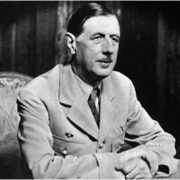 By the beginning of the Second World War, Charles had the rank of colonel and the reputation of a military theoretician. But he did not manage to prove himself on the battlefield, as the German military machine crushed the French army overnight. In a critical situation, when Guderian’s tanks were tearing deeper into France, De Gaulle’s career sharply went up. On June 6, 1940, he was appointed deputy military minister. 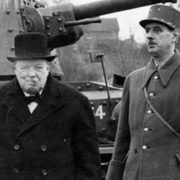 But already on June 14, when de Gaulle was negotiating with Prime Minister Churchill about the continuation of the war in England, the Hitlerites entered Paris. And soon Philippe Pétain, who became French Prime Minister, signed the capitulation of France. 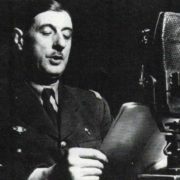 On June 18, Charles spoke on the English radio and urged the French to unite for the continuation of the war. It was then that he initiated the creation of the organization Free France, which led the French Resistance. 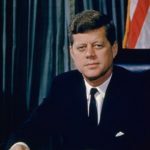 In 1944, he flew to the United States, where he managed to meet the American president. And after that he went to the USSR, where he had been talking with Stalin for 15 hours. The military achievements of the French Resistance in the Second World War were rather modest. 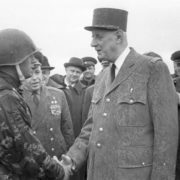 However, thanks to de Gaulle, France was elevated to the rank of the victorious countries along with the USSR, the USA and England. 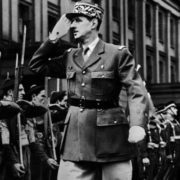 Charles de Gaulle was the symbol of the French Resistance. His entry into liberated Paris resembled the triumphant procession of Joan of Arc through the streets of liberated Orleans. 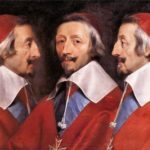 After the war, the Fourth Republic was established in France, in which the real power belonged not to the president of the republic (as de Gaulle suggested), but to the National Assembly. And de Gaulle left the post of head of government in January 1946 and went to his estate. In 1957-1958 there was a period of severe political and economic crisis in France. The country once again needed a hero in glittering armor. 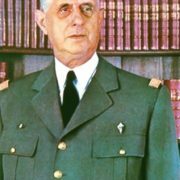 And de Gaulle appeared in the general’s uniform. Having occupied the prime minister’s chair, he consolidated his position by creating the Fifth Republic and becoming its first president. And then, in fact, he saved France for the second time. However, having done this at the expense of decolonization, he made a lot of enemies among the right-wing opposition. Independence was received not only by Algeria, but also by two dozen French colonies in Africa, as well as by Vietnam and Cambodia. For this they decided to kill the president. 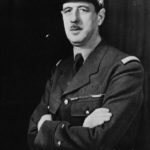 The Organization of the Secret Army made 15 attempts to kill de Gaulle, but he survived. 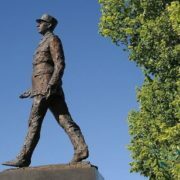 As a true knight, de Gaulle was not afraid of anything. 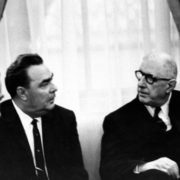 He not only went to the USSR to establish good relations with ideological opponents – Communists, but also dared to contradict the United States. But the moment came when the illustrious general began to lose his authority in his country. In 1968, there were student riots and union strikes under the slogans: “De Gaulle to the archive!”, “Good-bye, de Gaulle!”. The hero listened to the opinion of the people and retired voluntarily. Charles de Gaulle died on November 9, 1970. Telling about de Gaulle’s death on television, his successor Georges Pompidou said: “General de Gaulle is dead, France is widowed”. The Paris airport (Roissy-Charles-de-Gaulle), the Parisian Star Plaza and a number of other memorable places, as well as the nuclear aircraft carrier of the French Navy were named in his honor. A monument to the general was erected near the Champs-Elysees in Paris. 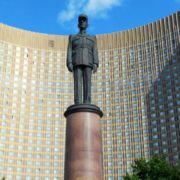 In 1990, the square in front of the Cosmos Hotel in Moscow was named after him, and in 2005, a monument to de Gaulle was erected in the presence of Jacques Chirac. In 2014, a monument to the general was erected in Astana.